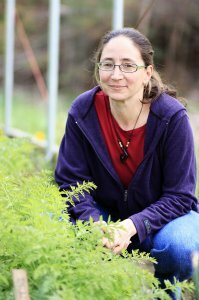 Please welcome author Jodi Lew-Smith to the blog today! Jodi is currently on blog tour with HF Virtual Book Tours for The Clever Mill Horse and today I have a fascinating post for you plus a chance to win a copy of Jodi's new book! Oliver Evans: Genius inventor or crackpot? First a warm thank you to Amy for hosting my guest post on her amazing blog! Oliver Evans—who appears in The Clever Mill Horse as the curmudgeon inventor who helps Ella write the patent that will beat out Henry Emerston—was quite a real man and apparently as much a genius for inventing things as for stirring up trouble. His best known inventions were the automatic flour mill (a suite of tools for automating the backbreaking labor of flour milling) and then, later in his life, the high-pressure steam engine for use in a multitude of applications. The basic problem of the flour mill was that wheat kernels ground by millstones on the first floor then had to be manhandled in sacks up to the top floor of the mill to be cooled and dried, then fed down into a bolting cylinder to be sifted, then delivered into barrels back on the first floor. The whole process took upwards of eight men and many hours. Evans set out to automate the entire process using an integrated set of bucket elevators for lifting, screw conveyors for lateral movement, and something called a ‘hopper boy’ that cooled and dried the meal before sending it down into the bolting cylinder. When fully operational, sacks of grain could be delivered at the door to the mill and then, later, barrels of flour picked up without the need for a human being to touch the flour at any step. Occasional adjustments to the machinery became the only use for a man at the mill. Oliver Evans was not the first to invent automation. At this time in the 1780’s there were already machines in operation in textiles, grain threshing, and nail-making, and there were millers using “sack tackles” in England and France to hoist sacks of flour to the top of the mill by means of water-power. What was so stunning about Evans’ achievements were that he didn’t seek to automate one or two of the pieces, but instead to fully automate every piece. Up to now, no one had automated an entire process for anything. Evans was the first. He was, in some sense, the ultimate initiator of the industrial revolution. And, as would soon be shown, he was greatly ahead of his time—and perhaps not the ideal choice for Director of PR. Evans was undeterred and in January 1786 petitioned the Delaware legislature for a patent that gave him exclusive right to make his milling improvements or to license others to do so for a period of twenty-five years. When the federal patent act was passed in 1790, his automated flour milling became the third United States patent ever issued. (Prior to this you had to apply in each state individually). Despite his lack of personal stature, his flour-milling inventions took on a life of their own and soon came to be adopted in pretty well every mill in the country. He managed to have his federal patent extended by a private bill called “An Act for the relief of Oliver Evans” and President Jefferson paid him a license fee of $80 to use the inventions in his mill at Monticello. More importantly, the concept of automating entire processes began to be adapted to other applications and this, more than anything else, marked the end for the Age of Homespun and the shift away from an agrarian society. A pretty significant achievement for a largely unknown inventor. I had great fun developing Oliver Evans as a cameo character in The Clever Mill Horse because he was so well established as an argumentative curmudgeon in history that it took little to make him a genius grump within the story! Ferguson, Eugene S. Oliver Evans: Inventive genius of the American industrial revolution. The Hagley Museum, Greenville, DE, 1980. Latimer, Rev. George A. A Sketch of the life of Oliver Evans, A Remarkable Mechanic and Inventor. John C. Harkness, Wilmington, DE, 1872. Bathe, Greville and Bathe, Dorothy. Oliver Evans: a chronicle of early American engineering. Historical Society of Pennsylvania, Philadelphia, PA, 1935. 1810, upstate New York. 21-year-old Ella Kenyon is happiest gliding through the thick woods around her small frontier town, knife in hand, her sharp eyes tracking game. A gift for engineering is in her blood, but she would gladly trade it for more time in the forest. If only her grandfather's dying wish hadn't trapped her into a fight she never wanted. 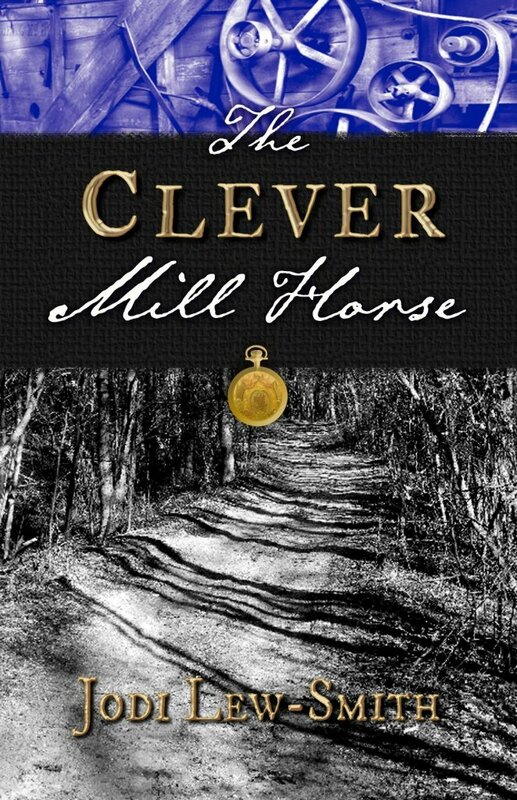 To enter to win a copy of The Clever Mill Horse (Paperback or eBook, Winner's Choice) please enter using the Rafflecopter form below. - Giveaway ends on November 23rd. - Paperback is open to US residents only and eBook is open internationally. It sounds like a fabulous read, and I love the danger and suspense in the story. Thanks for having the giveaway. This has a pretty unusual plot element. Thanks for the giveaway.